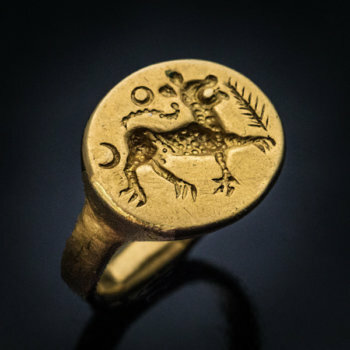 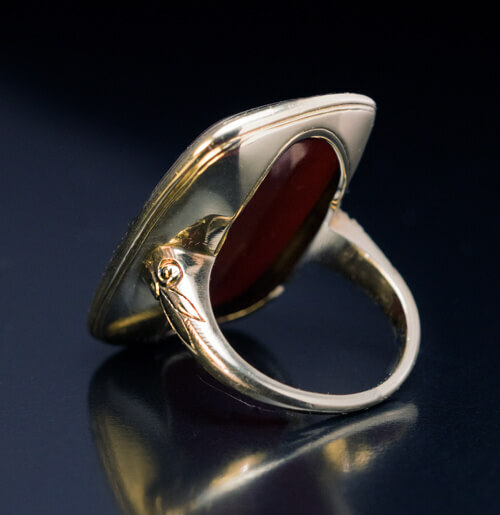 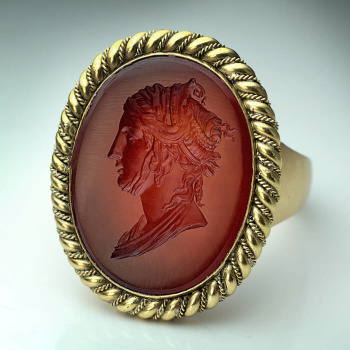 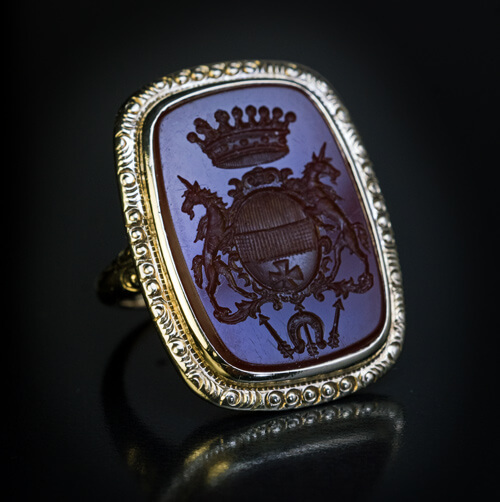 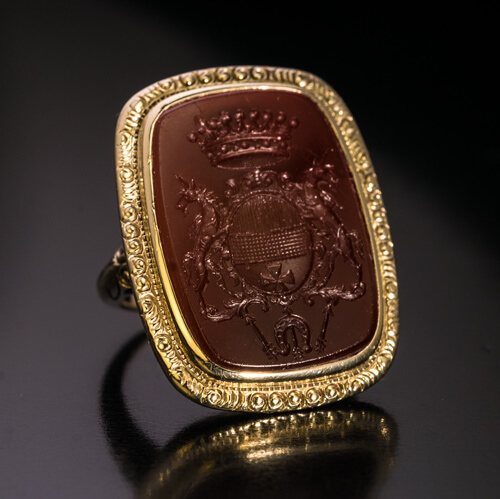 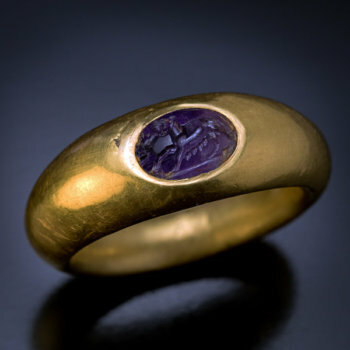 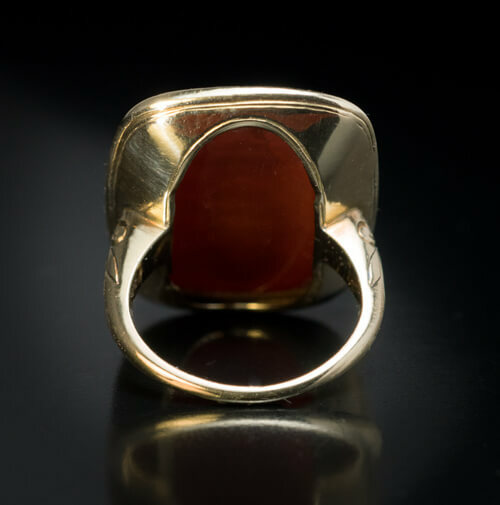 A Victorian era antique 14K gold signet ring is set with a large chocolate brown carnelian seal matrix finely engraved with a coat of arms of a Count or a Baron. 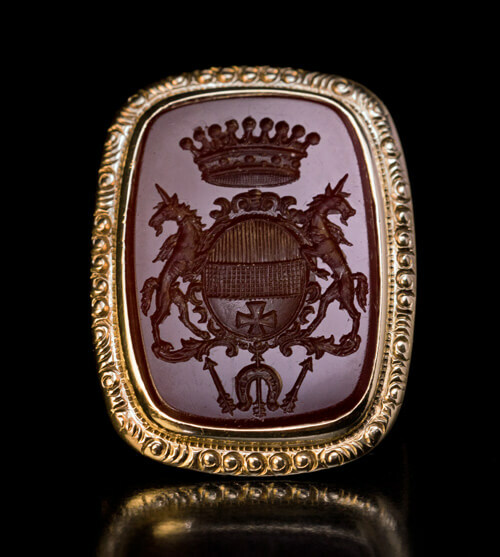 The armorial is designed as a crowned shield with a cross held by two unicorns. 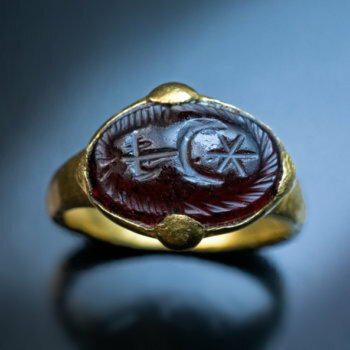 A horse shoe and three arrows are placed below the shield.